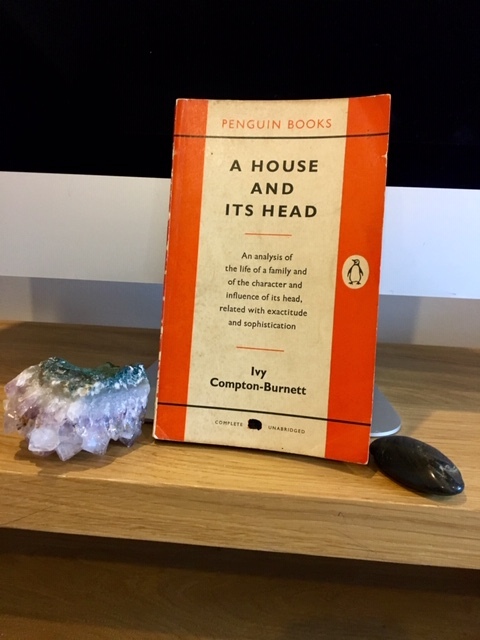 This entry was posted in English Literature and tagged A House and its Head, Ivy Compton-Burnett, Penguin Books by Simon Lavery. Bookmark the permalink. I’ve only read the excellent More Women than Men so far, and I must get hold of this one, and Elders and Betters, too. I immediately fell for her rather difficult but very idiosyncratic style. P.S., off-topic: About books on Venice, has anyone recommended Pure Venice, by Ackroyd, yet ? This was my third ICB, so 17 to go! As for that Venice recommendation, no, it’s a new one on me, so thanks for the tip. They are! Once you get used to the dense prose, she’s a delight – caustic but detached. Every sentence is a little stiletto. In spite of the fact that ICB’s name keeps cropping up amogst the bloggers and eaders I follow, I’ve yet to try one of her books. This sounds a little like All Passion Spent on steroids. Plenty of great scope for fiction amongst dysfunctional families. Much spikier than VSW, and the prose is more intense, mannered and arch – in a good way. Like Oscar on steroids! Yes, me too. She’s a writer I’ve known of since forever, but I’ve never read her. Maybe she was on my parents’ shelves?